FYI: You will need a cookie press for this recipe. ** OR ** you can use a pastry bag with a large pastry tip. 2. In large mixing bowl, beat butter and sugar together until light and fluffy. Beat in egg yolk, sour cream and vanilla. In a medium bowl, sift together flour, cinnamon, salt and baking soda. 3. Gradually add flour mixture to butter mixture. 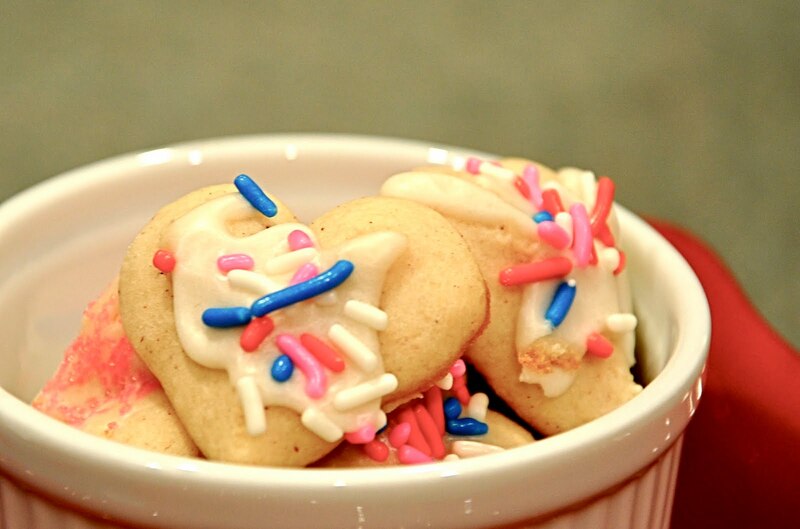 Fill cookie press with dough, then form cookies onto ungreased cookie sheets. Bake 6-8 mins, then remove from oven and cool on pan for 1 min. Remove cookies and place on wire racks to cool. 4. FOR GLAZE: In small bowl, whisk together powdered sugar, milk, melted butter and vanilla. Add milk as needed.